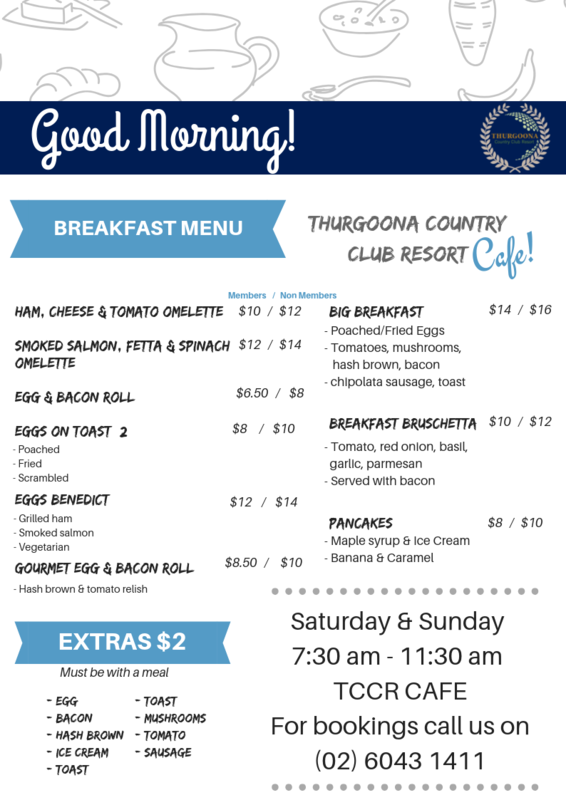 Our delicious breakfast menu has a vast range of options, whether you are feeling like a big breakfast or something sweet like pancakes we have you covered. Cooked fresh to order! We hope to see you there with your friends and family or even before golf! For bookings / group bookings call us on (02) 6043 1411.